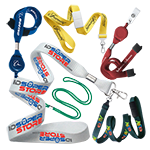 This flat braid lanyard is made from durable polyester material. 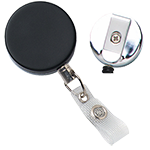 Easily slide a badge holder onto the nickel-plated steel swivel hook and enjoy the freedom of never having to flip the lanyard around. 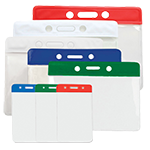 This lets you display information on either side of your ID card without twisting the lanyard. 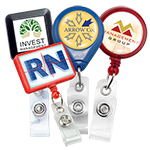 This lanyard is available in a variety of colors and is finished with a metal crimp. Simple standard lanyard with very good quality material. 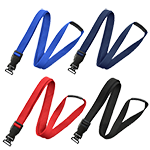 I like the material used and how these lanyards are made to be very durable. Good job! 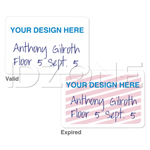 The navy blue color works well with our company's ID design. When this arrived, I was disappointed that it was not as wide as I thought. Still, the quality is very good. 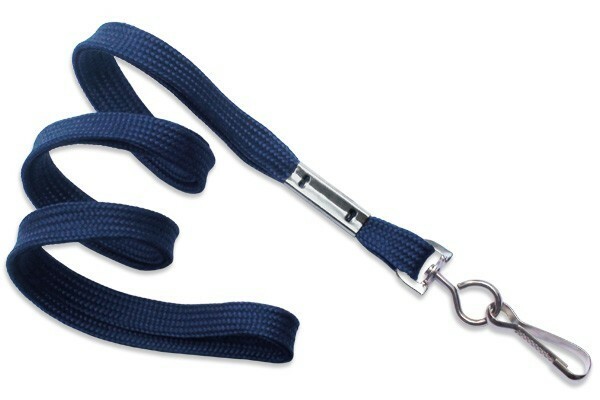 This is our lanyard of choice. Made three purchases last year, and this is my 2nd purchase this year. Very affordable too. That's why I keep buying here!